Homeowners insurance, renters insurance, auto insurance, and life insurance – those are all fairly common insurance services, right? 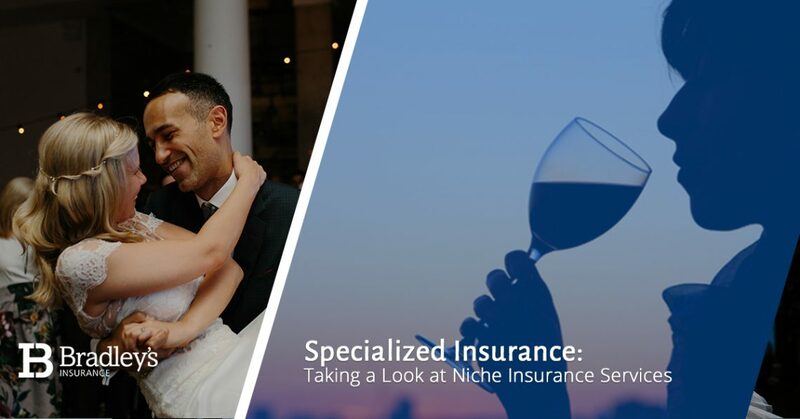 They are very commonplace in the insurance industry, but our point is that there are many, many different types of specialized and niche insurance markets out there. Though many insurance policies are very…rare, shall we say, it only makes sense to insure your nose and taste buds if you’re a world-renowned wine taster or to insure your teeth if you’re a dental model (yes, both of these things have actually happened). Now, while your Stittsville auto and home insurance brokers haven’t insured many body parts in our time working in the insurance industry, we do offer an impressive number of commercial insurance services. Many of our insurance products are specifically designed for various professions and industries, from farm insurance to liquor liability and even student housing policies. Bradley’s Insurance believes that, by tailoring our clients to the right insurance products, we’re helping them get the best deals on their premiums – not to mention the peace of mind knowing that everything is covered, even when worst comes to worst. Offering the best home and auto insurance bundle in Stittsville and the greater Ottawa area, Bradley’s Insurance is here to work with you on a personal level to find the most fitting insurance solutions of your life situation. So, why not work with the insurance brokers who care? Get a quote or get in touch with us today to learn more about what we can do for you. What Is Specialized Insurance, Exactly? In short, specialized insurance is designed for highly specific and sometimes exceptionally unusual circumstances. In other words, specialized insurance is coverage for the completely unexpected. One of the biggest buyers of specialized insurance is business owners, because they need more-than-adequate coverage to secure themselves against the inherent risks of their particular industry. So then, what are the specific advantages of having specialized insurance tailored to your industry, business or profession? Well, for one, your customers will benefit because it gives them added security in circumstances when they are the most vulnerable. Additionally, for your business, the main reason that specialization matters is because it elevates you above your competition – something that’s really matters when competing in a small, niche industry. As we mentioned above in our introduction, if your job or livelihood depends on something very specific and valuable, then you’ll want to insure it. Indeed, back in 2008, a Dutch wine taster with a vineyard in Bordeaux ended up insuring his nose for $8 million – it’s his livelihood, after all. Another instance of insuring part of the human body was when actress America Ferrera insured her teeth, at least with the help of Aquafresh. After working with this dental giant, her teeth were insured for an impressive $10 million to help promote Aquafresh White Trays. That’s about as fresh as an insurance policy gets, if you ask us. As strange as these insurance situations sound, they were also a smart move. Why? Well, had they not insured their teeth or their nose, what if a major accident occurred, damaging these parts of their body? That’s sure to be a career-ender without proper coverage. If you’re an artist that relies on your hand for intricate and creative drawings, wouldn’t it be nice to fall back on something if your hand was injured? Specialized insurance provides the necessary peace of mind for even the most specific of situations. Specialized insurance is ideal for job security purposes, but that’s not the only useful application of specialized insurance. Surely you’ve heard of travel insurance to protect against lost or stolen luggage, but what about protection against riots and civil unrest in foreign countries? Back in 2010, that’s exactly what Thailand did. In response to the growing worry tourists had about riots and political unrest, the government actually offered riot insurance for up to $10,000, covering any loss or damage as a result of political upheavals. If that doesn’t say “please visit our country despite the current state of affairs,” then we’re not sure what does. Wedding insurance? Yes, that exists. After all, there’s a great deal of planning and money that goes into one single event, and how can you know it’s all going to go well? You can even insure the unexpected birth of a child ahead of time, and that’s in addition to the one you’ve already planned for. Indeed, you can insure yourself for twins as long as you take the policy out before the eleventh week of the pregnancy. If that doesn’t amuse you, there are even policies available for otherworldly encounters. That’s right, in 2001, a man actually insured himself against abduction, impregnation, and consumption by aliens…better safe than sorry! With a £1 million payout, those are some pretty serious claims for otherwise implausible or downright impossible situations. Alas, we digress. There are many more reasons why specialized insurance is the best way to go depending on the nature of your job or your business, but we’ve painted the picture pretty clearly. While most of these hypotheticals are extremely likely at best, the feeling of security and peace of mind that you’re financial covered is…well, priceless, at least in an ironic sense. For other home and auto insurance bundle policies in Ottawa, contact Bradley’s Insurance today to learn more about what we can do for you.